As I began reading SOLARIS MORTEM, I started to think that it was going to be the same as so many other Post-Apocalyptic books that are now available. I was very pleasantly surprised to find that this book is different. There is a huge twist away from the typical ‘survival-at-all-costs’ plotline. This book will actually make you think while still being hugely entertaining. The character of Terry is (or was) a long haul trucker. He’s unmarried and lives with his divorced sister and her two kids. He is on his way home to Seattle from California when a series of solar flares light up the sky and a blinding white flash of light nearly blinds him. When he is able to see again, he realizes that the power has been knocked out, including the power to his truck and to all the other vehicles on the road. Two hundred and fifty miles from home Terryville has a long and dangerous walk ahead of him, but he eventually makes it. Reaching Seattle he is shocked and confused with what he finds there. A government-type group calling themselves “The New Patriots” have taken over his hometown as well as the lives of all those who live inside it. Is this group benevolent? Are they just trying to restore order in a world that has quickly devolved into chaos? Or is something more sinister going on? And if so, what is Terryville going to do about it? I received this book in the mail yesterday and as soon as I started reading, I was unable to put it down. The book is fast paced and packed with action, yet this did not take away from character development. The characters are believable and they are regular people which is another choice by the author that I heartily applaud. Too often in this type of book the main character has military training or is a Prepper. This is unrealistic. I am much more interested in reading about how an “average Joe” would deal with the apocalypse. Not only is SOLARIS MORTEM a terrifically entertaining tale, but it also poses many questions and quandaries for its characters regarding morality and personal values. It is impossible to read this book without asking yourself what the reader would do if he/she were to face the same dilemmas. I know it certainly made me think. 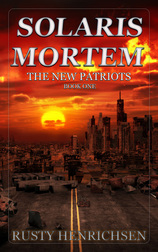 I will definitely be on the lookout for the second book in THE NEW PATRIOTS Series. 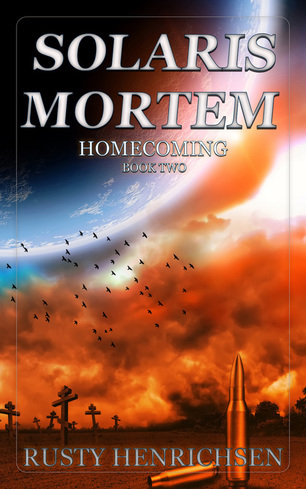 The second book is titled SOLARIS MORTEM – HOMECOMING and is due to be released in September 2016. 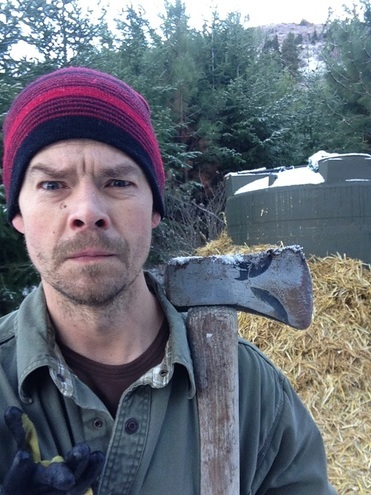 RUSTY HENRICHSEN makes his home in Washington state and enjoys all manner outdoor activities. He also likes to lock himself indoors, stare at an LCD screen for hours on end, and bang away at the keys of his trusty laptop. When he’s not busy enjoying outdoor activities or exhibiting writer’s neurosis, he makes a living designing homes. He is also a husband and a father with a brood of seven, the greatest of all his accomplishments.